Brand new and now serving the heart of New England, the New Haven RS-3 Lion Chief Set! If you are a fan of the New York, New Haven and Hartford railroad, then fanatic. Or are you just looking for a great starter set? Then this fun and colorful set is a perfect set for you. It comes with everything you need to get started and best of all, come equipped with our Lion Chief remote and Bluetooth technology. One of the most beautiful trains to grace the railway is back in our Ready-to-Run line-up and better than ever, the Santa Fe Super Chief! 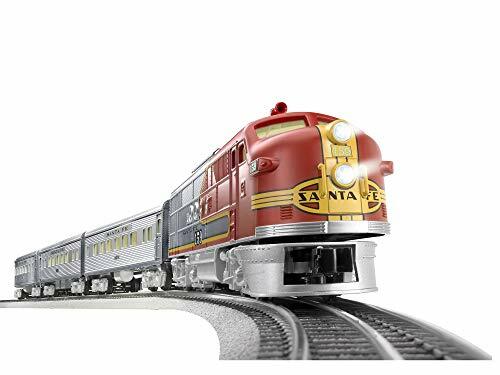 Last produced in 2013 by Lionel, we have taken this iconic set and additional rolling stock to a new level by adding our Lion Chief remote and Bluetooth technology giving you multiple ways to operate your set. You are not going to want to miss putting this beauty on your layout!. 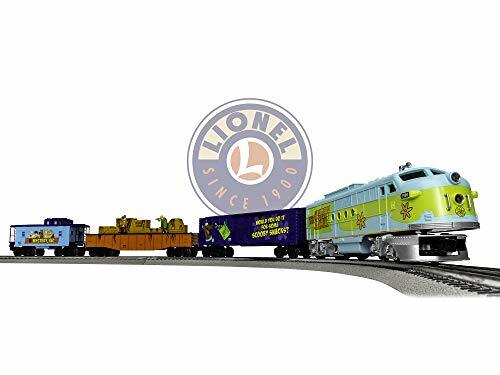 For the first time in Lionel's history, we are teaming up with the "Original Stunt Brand" to offer you some high speed action and fun for years to come. In 2018, Hot Wheels is celebrating 50 years of offering cars and accessories that have challenged your limits and we are excited to celebrate with them by offering a special line of Hot Wheels 50th Anniversary rolling stock and a fun, energetic new Lion Chief Ready-to-Run set. Blow the whistle and chime the bell as your rugged 0-4-0 steam engine approaches Lionel Junction! 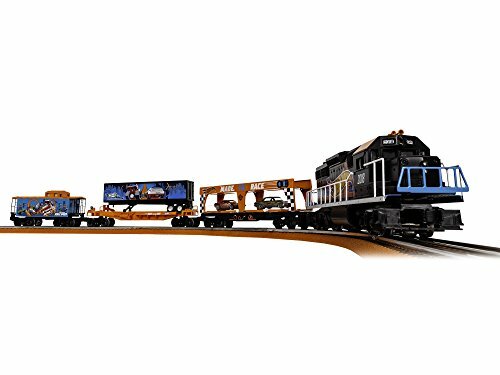 With realistic railroad decoration, authentic locomotive sounds and announcements, and three freight cars in tow, this ready-to-run train set will fire the imagination of any beginning train engineer. Set includes everything you need to get started, including track, remote, and power supply. All aboard for brand New adventures on rails! 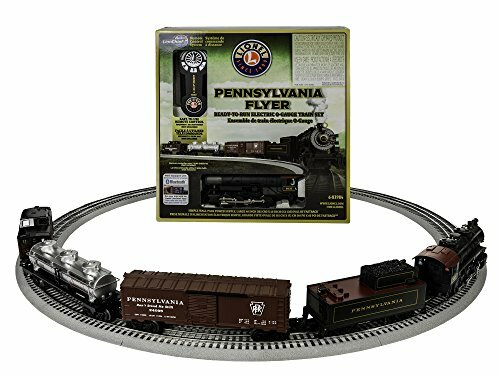 The Lionel trains Pennsylvania flyer ready-to-play train set is leaving the station on a non-stop run to fun. 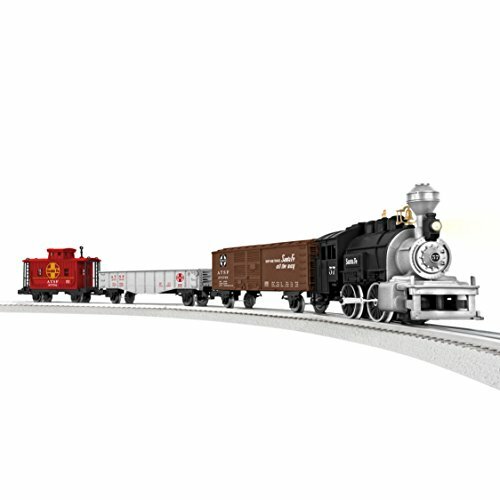 This electric RC locomotive set features a detailed and ruggedly built berkshire-style locomotive with working headlight, smoke, and sounds. The set includes a steam locomotive and tender, 3-domed tank car, boxcar, and caboose. 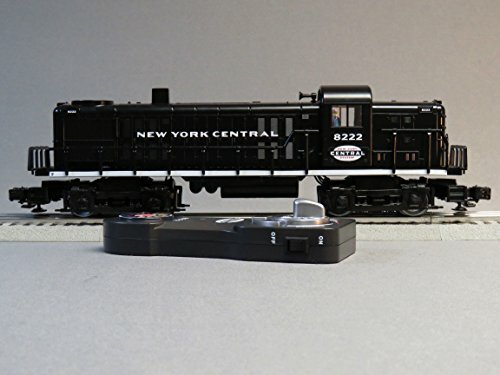 Download the Bluetooth app to control you train from your phone, and prepare for non-stop adventure with the Lionel trains Pennsylvania flyer.Champion of the rails, the Pennsylvania Flyer includes a remote control for easy operation and walk-around fun. 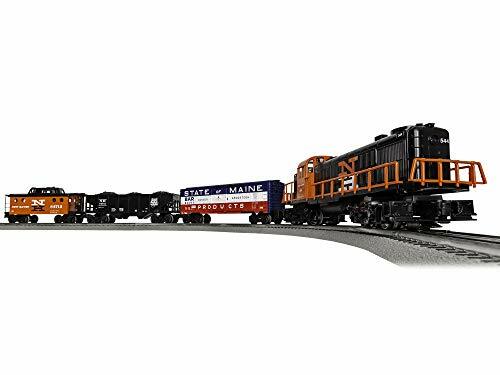 A powerful 0-8-0 leads the rugged freight smoothly around a full 40"x 60" oval of FasTrack. Mystery Inc. is teaming up with Lionel to solve some of Coolsville's most troubling mysteries. Lionel introduces the new Mystery Machine Lion Chief Ready to Run train set. Now you're able to have the coolest, hippest train. You can also get our new line of Scooby-Doo themed O-Gauge items that you can add some fun to your layout or begin creating a groovy railroad empire. Next stop, Gotham City! You don't need superpowers to be a super hero. Forget the Batmobile! Stay five steps ahead of your foes with this dark and brooding BATMAN Phantom Set. 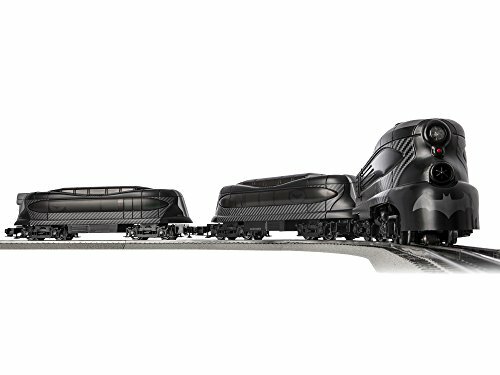 The set has a unique carbon treatment which is sure to make your layout the most feared of all. No job too big, no job too small, contact Construction Railroad for all of your railroad construction needs! 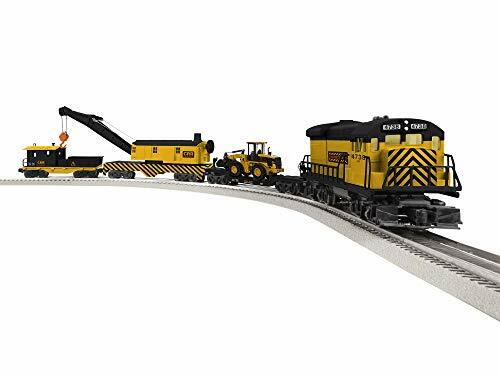 This fun and interactive set is sure to create hours of fun on your layout or in an imaginary construction zone. Set up your layout and have fun designing your construction site with our additional rolling stock and construction themed accessories. They've crossed through the barrier to platform 9 3/4", eyed the various goodies on the snack trolley and are headed to Hogwarts school of Witchcraft and Wizardry aboard the Hogwarts express. These young witches and wizards are eager to learn every spell and potion, and the first years are anxiously discussing were the sorting hat will place them! so climb aboard the Hogwarts express and discover the magic and mystery that is Hogwarts school of Witchcraft and Wizardry. Now with Bluetooth capability. "TIME TO CELEBRATE! Who would have thought back in 1928 that a cartoon character would have such an impact and become one of the most recognizable figures worldwide? Walt Disney did. Join Lionel this fall as we celebrate “The True Original”, with special items dedicated to Mickey Mouse’s 90th Anniversary. 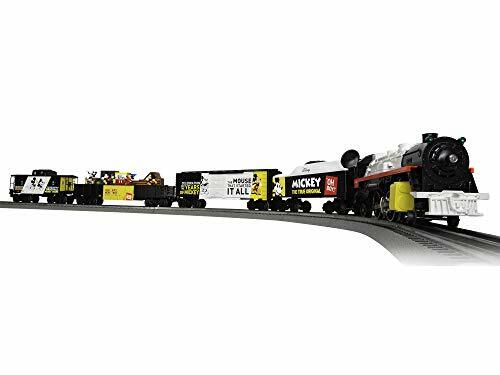 To help celebrate, we are offering a fun Ready- To-Run set honoring the mouse that started it all; as well as separate-sale rolling stock and billboards to match! If you are a Mickey Mouse fan, you are not going to want to miss this party! Items are limited, so join the celebration and order yours today! " 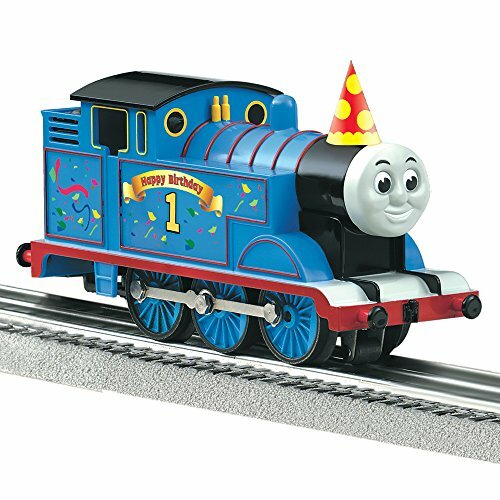 Let Thomas and his friend's help you celebrate your birthday with this birthday Thomas with remote. With this it's sure to be a birthday to remember. With its two front lights fully lit, full speed ahead and the unmistakable “choo-choo” sound, the Mighty Red Action Locomotive impresses even the most experienced young train driver. 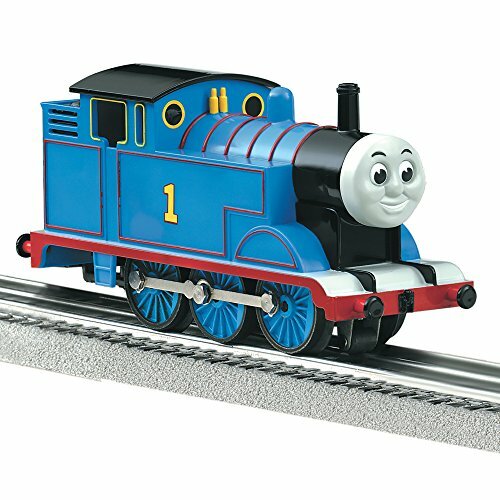 This toy train goes both forward and reverse with accompanying light and sound effects, and the switch on top allows free wheel movement for play without battery function. This durable, retro designed toy allows your child’s imagination to flow and helps improve their fine motor skills and spatial awareness. For 2018, we are excited to offer the MTA Long Island Railroad back into our Ready-to-Run and traditional line-up. 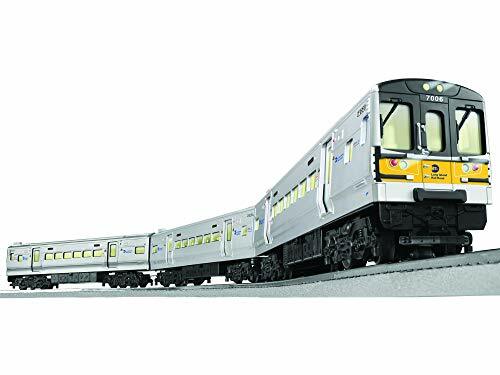 Since 1834, the MTA LIRR has been and currently is the busiest commuter railroad in North American and now you can recreate it in your very own home with our MTA LIRR M7 Lion Chief Set with Bluetooth and add-on cars!. There is a fire and they need your help! 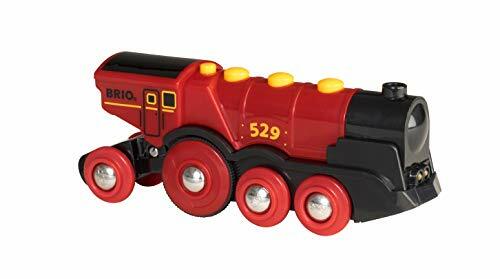 With BRIO´S firefighter train set you can drive immediately to the docking station and fill the fire train with water and gas. The firefighter goes along in his fire truck with sirens and light. Put down the fire with the fire hose on the wagon. For more action with this figefighter toy set, just add more BRIO wooden tracks. Have a very Disney Christmas! The perfect train for under your tree this season, you'll even see Mickey and Minnie skating around on your present-filled gondola! Bring a dose of holiday cheer to your track layout with these iconic characters dressed in their Christmas best!. 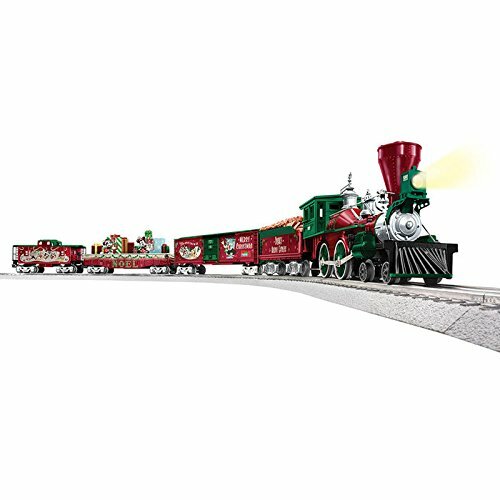 What started as an imagined conversation in the mind of a young boy has blossomed into an iconic train series that mesmerizes children across the Globe. He brings the child out in all of us. 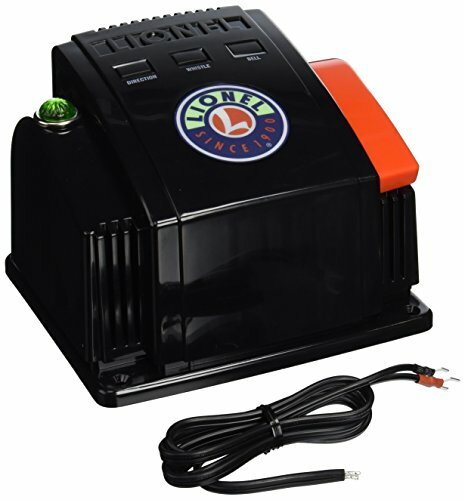 Compare prices on Lionel Electric Toy Trains at Elevelist.com – use promo codes and coupons for best offers and deals. We work hard to get you amazing deals and collect all avail hot offers online and represent it in one place for the customers. Now our visitors can leverage benefits of big brands and heavy discounts available for that day and for famous brands.